Idaho Power has joined utility Xcel Energy in committing to decarbonize entirely. Idaho Power announced plans to transition its generation to 100% clean energy by 2045, accompanied by a 120-megawatt solar power-purchase agreement that rivals some of the lowest prices seen in the U.S. market to date. The 20-year PPA rings in at $21.175 per megawatt-hour, with a 1.5 percent annual price increase. A previously announced Austin Energy project sits between $21 and $27.25 per megawatt-hour (the price hasn’t been confirmed) and another Texas project came in under $25 per megawatt-hour at the end of 2018. Other projects in Arizona and Nevada have seen similarly low prices, at $21.55 (with 2.5% escalation) and $23.76 per megawatt-hour, but with PPAs at 25 years. Idaho Power's deal is "definitely in line with the low PPA prices we have seen," said Colin Smith, a senior solar analyst at energy consulting and research firm Wood Mackenzie Power & Renewables. Most of the other deals, however, have been in highly developed solar markets. The Idaho agreement is unique in coming in a fledgling state market, ranked 22nd in the country in 2018 by the Solar Energy Industries Association. Smith notes that this deal is the lowest PPA price in Idaho, signifcantly below "qualifying facility" rates set out under the Public Utility Regulatory Policies Act. According to WoodMac data, this project alone will increase the state's cumulative solar capacity by 35%. Idaho-based Jackpot Holdings, owned by Alternative Power Development NW, will build the project. 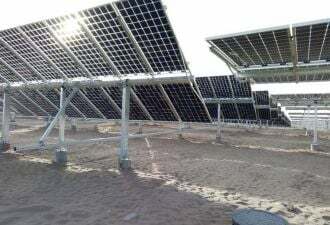 The solar plant will replace Idaho Power’s stake in a coal-fired facility located in Nevada, which earlier this month the utility said it will totally exit by the end of 2025. According to a request filed with the state’s public utility commission, dropping that coal plant will save customers $12.2 million, though Idaho Power wants to include “actual and forecasted investments” in the plant in customer rates going forward. The utility said the average ratepayer will see an increase of 10 cents on their monthly bill if the commission OKs the request. Idaho Power, with 557,645 customers in Idaho and eastern Oregon, joins a growing list of states looking toward a 100 percent carbon-free future. Other states, meanwhile, are considering how best to retire uneconomic coal plants. New Mexico included provisions for securitization and worker retraining in its 100 percent clean energy bill, passed last month. Colorado, too, is considering a measure. Smith said the increasing number of pledges to carbon-free will continue driving more solar. But Idaho Power is among a smaller group of utilities making the move to decarbonize completely. Just before 2018 came to a close, Xcel Energy, which serves millions of customers in several states including Minnesota and Colorado, committed to 100 percent carbon-free electricity by 2050. Another utility with a Colorado presence, the Platte River Power Authority, announced a target to be 100 percent carbon-free by 2030. Idaho Power’s mix will be easier to transition than that of other companies. The utility said energy efficiency, storage, wind and solar investments — like the Jackpot Holdings deal — will build on its “backbone” of hydropower, which already makes up 46.4 percent of its generation. Another 19.3 percent comes from long-term purchases of renewables like solar, wind and geothermal. Coal accounts for just 17.5 percent of the utility’s portfolio, compared to 37% for Xcel, and natural gas makes up 7.5 percent compared to Xcel’s 23 percent. With its latest agreement for the coal plant exit, Idaho Power has a stake in just one remaining coal-fired plant. 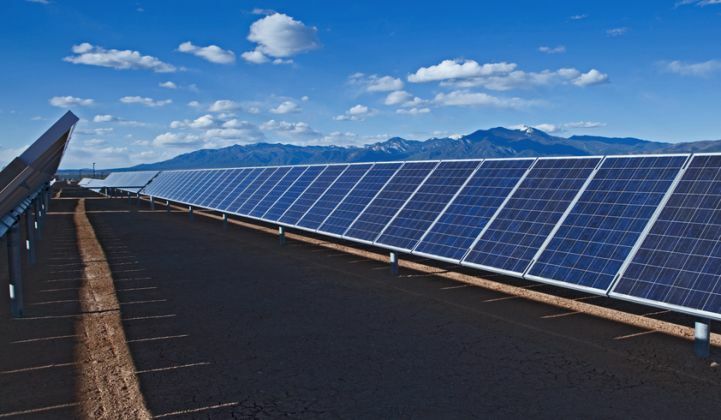 The new solar plant makes up part of Idaho Power’s 436-megawatt solar portfolio, encompassing power-purchase agreements with 20 solar providers. Currently solar makes up 3.6 percent of the utility’s mix. The utility heralded the deal as a big step forward, but the PUC says it’s still waiting on an official filing for the agreement. Idaho Power said it expects to submit that paperwork this week.